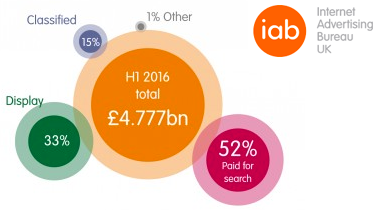 Anyone active in digital marketing will have likely already seen the reports and analysis about the IAB and PwC’s latest adspend report. If you have time and wish to read the full report then you can download a copy of the report by clicking here and visiting the IAB website. Video the fastest growing ad format, up 67%. Furthermore 66% of pre-post roll spend was on non-broadcast inventory. Consumer Goods, travel & transport, automotive were the 3 biggest spenders in the display category. Half of standard mobile display is rich media and mobile accounts for 80% of spend in social. Build high-converting mobile responsive landing pages (which means creatives adapt to the devices they are viewed on). For fast turnaround, use tools which allow marketing and design teams to make responsive landing pages without the need to code. Customise text, images and video for mobile. While you’re building the landing page (working with speed in mind), you should be able to apply different sizes of your graphics and text for different screen sizes. For text, don’t just resize headlines, take precise control over your typography scale according to the device it’s being viewed on. Make sure your opt-in or forms are fast to load and any validation is loaded quickly with easily viewable help text. Customers can be turned away completely due to this issue. Use landing page creators which provide debugging feedback – helping you make better pages faster. If users sign up to something, then make sure your call-to-actions on the thank you page are responsive and are brought in view or in focus on both large and small screens. 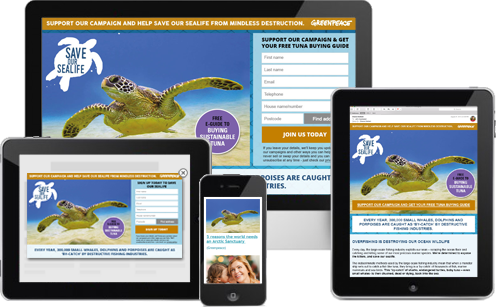 Building landing pages from templates (versus code) can save you time and help reduce campaign creative costs. Many templates simply are not adaptive layouts and are not thoroughly tested. We provide our clients with a range of responsive template expertly built for purpose. As always, test your pages across multiple browsers and all devices to make sure the templates you are using generates beautiful results. We hope the above give you some helpful pointers when you are building your high quality responsive landing pages. Please note these items above are equally important for other key creative formats such as overlays and emails which businesses must also optimise for both desktop and mobile users. Magnetise Group’s industry-leading technology is helping businesses maximise their campaign objectives and budgets, and it’s vital all our clients are promoting creative and customer journeys which is perfect for both mobile and non-mobile visitors and that’s is easy to adjust these assets easily reducing friction and encouraging users to flow through the process.